The Bourne Identity (2002) | Tales From The Ipe! ← My rubber bands are doing what now? 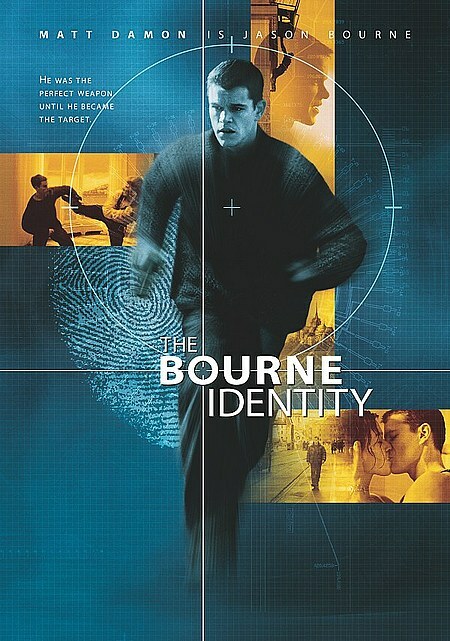 Truth be told, this is not the first time I ever saw The Bourne Identity. I saw this with a whole mess o’ friends back in June 2002 when it was first released. However, I didn’t like it. I don’t remember particularly why, but I just wasn’t all the impressed or into it. Maybe I had other stuff on my mind, maybe it was the rush from tthe BBQ we were at earlier, I couldn’t explain it. Years later, two sequels have been released, scores of people rave about it, and I’m scratching my head. If so many people like it, am I wrong? I decided to give it a chance, through the magic of Netflix. I watched it this past weekend, and I liked it. I liked it a lot. I thought the story was good, and I liked Jason Bourne himself, and not to mention the action. I have The Bourne Supremacy and The Bourne Ultimatum queued up next, and I can’t wait. So here’s to 2nd chances after the first impression!